Do you have a large map? Take too long to walk across? 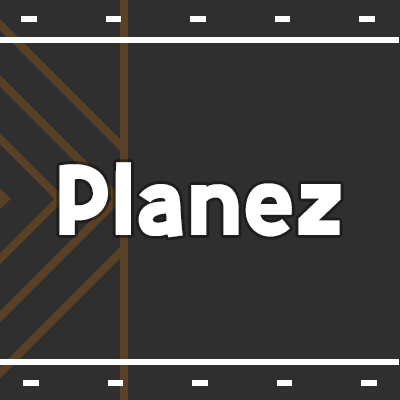 Install Planez and fly there in no time! Your airports can finally be used for what they were made for! This plugin is perfect for city themes, or to fly over seas to other islands! Perfect for any roleplay / city server! Could You Fix The Thing where you die when you land in survival? Please fix conflict with CarZ. I put the cart, and sit in her and she is cloned. havent got around to testing this again yet. My players are used to minecarts only being planes. I was wondering if the would be a way to get only boats or minecart perms or a option for one, other or both? Please just let me know. Ill have to stick with my old planes if not. The cool thing with your planes is it dosent make all minecarts planes. my plug i have now forces people with perms to fly. An this will not let me make a roller coaster on my server. cause when they get it now. they just take off :) - awesome plug hope you can make that happen if not still thanks for making it! Look in the config, there will be an option to enable boat breaking again. very welcome. also noticed i couldnt break boats. i dont think this is a server issue since ive never had anyone say they cant break a boat before. Thank you, Ill look into this soon. The permission doesnt work for players, they need to be op in order to work. Could you fix this plz. Ive been waiting for a good plane plugin and i love this one, please do it. i downloaded the plugin but i tried everything and i couldnt GET AN AIRPLANE OR FLY CARTS. PLEASE HELP ME!!! this plugin seemed good BUT ITS NOT WORKING!! SO PLEASE HELP!!! Hi, this is a great plugin but I've noticed when you upgrade your plane when you move forward you don't go any faster but when you move up you go faster so i'm wondering is that supposed to happen? when you upgrade the plane too, can you add like 3 iron and four coal to upgrade the mine-cart and it cost more for a better upgrade. Same with the boat but instead of iron you would use wood, if this is possible it would be a really cool plugin but if not its fine and its still a really good plugin [can you add some design to it too please like color or different style for different upgrades? thanks]. Hey do you have a server i can see with this plugin on? lol, It honestly makes no difference to me if you remove if you are trying to harm me. Interesting how nobody else out of 1,345 people have had the plugin crash... Controls are as minecraft programmed them, and all you do is right click... Want me to upload a picture of a mouse indicating which one is the right button? Crashed 30 seconds after download. The controls are horrible. And there is no tutorial whatsoever. I am removing this plugin from my server.